Bitcoin high, Russian firsts, trade finance digitisation, US moves, and an interoperability alliance. Another day of action in the busy blockchain and Bitcoin world. Features Sberbank, IBM, Infosys Finacle, BitFlyer and the Blockchain Interoperability Alliance. Doubt you missed it, but Bitcoin has reached an all time high of $10,000. We were inundated with similar comments from firms – but the reality is that Bitcoin started the year off at $964 and now has crossed the $10,000 mark. So it’s kind of a big deal. Is there talk of a bubble? Of course. There always is. Sberbank says it has organised the Russian banking industry’s “first-ever” pilot blockchain payment transaction. It used the IBM blockchain platform on the basis of Hyperledger Fabric. Sberbank’s partners and participants in the pilot were MegaFon, MegaLabs, Alfa-Bank and IBM. In terms of the process, Sberbank organised the transfer of money from the payer to the receiver. Its IT infrastructure was used to set up a service for establishing the procedure, the certification centre, and a web app for the client with a personal account section. In addition, Sberbank and Alfa-Bank hosted the nodes of the network. The process will serve as the primary scenario for developing a new settlement function. By the way, last month, Sberbank became the first Russian bank to join the Enterprise Ethereum Alliance (EEA). 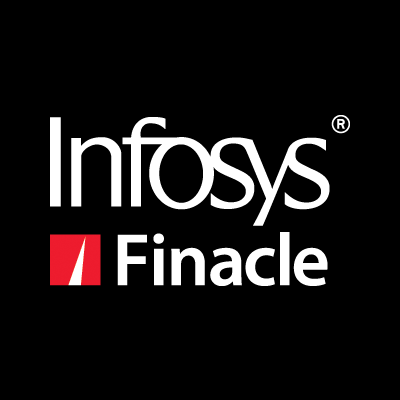 Infosys Finacle, part of EdgeVerve Systems, a product subsidiary of Infosys, has unleashed Finacle Trade Connect, a blockchain based trade finance solution for banks. The solution will help digitise the process, including validation of ownership, certifying documents and making payments, while working on a “distributed, trusted and shared network”. It is available for a range of functions, including bill collection, letters of credit, open account for trade, C2C transactions for trade, B2C transactions for trade, PO financing and invoice financing. In addition, Infosys Finacle also launched a pilot trade finance network for banks to trial the new solution – and 11 banks are on the network. The solution is based on the EdgeVerve blockchain framework, an “asset agnostic” and permissioned distributed ledger. The framework is also “ledger agnostic” and can work with platforms such as Bitcoin, Hyperledger, Ethereum and Corda. Tokyo-based Bitcoin exchange BitFlyer has launched its US-based virtual currency exchange platform. It got approval from the New York State Department of Financial Services (NYDFS) to operate in New York with the “BitLicense”. The platform enables traders to place market, limit and complex trade orders. The platform also contains an API for programmatic traders. It is designed for professional traders who trade $100,000 or more in virtual currency each month. In early 2018, BitFlyer says it plans to expand its cryptocurrencies to include altcoins such as Litecoin, Ethereum, Ethereum Classic and Bitcoin Cash. Finally, we have another new alliance. Aion, Wanchain and ICON – who all offer networks or markets – have formed the Blockchain Interoperability Alliance to develop industry standards, collaborate on research and design, and “work towards a shared mission to promote broader adoption of blockchain technology” (i.e. the usual stuff we always hear). The alliance says its first objective is to collaborate on research and design for cross-chain transactions and communication. The B2C e-commerce sales worldwide are estimated to reach $2.356 trillion in 2018. Featuring Kleros taking a chance, BitFlyer landing in Europe, and Nordea in the mood for banning.